In this comedy-drama, a group of new high school graduates hang out together in the final days of their final summer vacation. Set in the early 1960s, the film ushered in a wave of nostalgic stories that would flourish through most of the 1970s. It was also the second feature film directed by George Lucas, who would go on to direct Star Wars just a few years later. 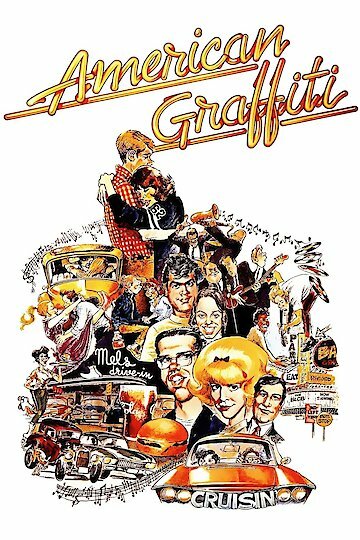 American Graffiti is currently available to watch and stream, download, buy on demand at Amazon Prime, Hulu, Starz, Amazon, Vudu, FandangoNow, iTunes, YouTube VOD online.